Bit behind....few articles for updates..
MOSCOW, October 23. /TASS/. Russian Deputy Prime Minister Dmitry Rogozin harshly criticised on Friday the builders of the Vostochny spaceport in Russia’s Far East for the unacceptably slow pace of the work. "The president has given us an additional time to complete in a normal, quiet regime, and not in haste, the rocket launch site for both autonomous and flying tests," the deputy prime minister said during a weekly teleconference on the facility construction. "But I have the impression that you have relaxed, colleagues, to my mind. I want to find out what is happening there." "If you have a leeway, it does not mean that you can stop," he said. Rogozin said that the extra time given by the president means that "the builders should carefully carry out all the necessary tests in accordance with the operating procedure." 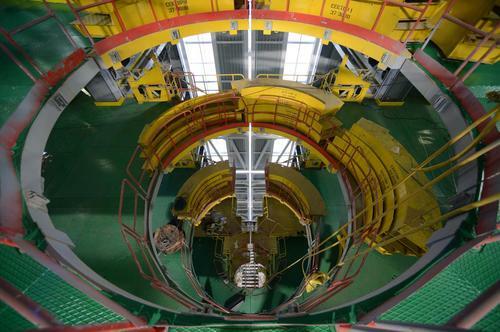 The deputy prime minister focused particular attention on connecting the essential launch facilities and indoor premises to the electric power and heating supply, wastewater disposal, water supply and ventilation systems for conducting autonomous tests of the support equipment. "The activity progress analysis indicates that the tempo of operations to connect the essential launch facilities to the specified networks is unacceptably low, with the exception of the heat supply networks," Rogozin said. He told the responsible officials to give a detailed account of the number of connected premises. 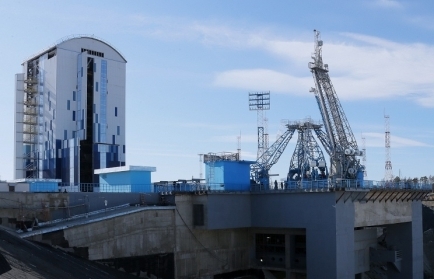 Previously, the Russian president previously allowed the builders to shift the time of the first launches from the Vostochny spaceport to April 2016. According to him, the first rocket from the new cosmodrome may be blasted off by the Cosmonautics Day (April 12, 2016). At the same time, Putin said that the timing is important, but quality is of top priority. According to Putin, the government commission accepted works worth only 32 billion roubles ($0.5 billion) for the Vostochny cosmodrome construction compared with the spaceport’s total financing at 188 billion roubles ($3 billion). Work still has to be carried out to streamline the ventilation, water, heat supply and fire-extinguishing systems and complete construction and finishing works. 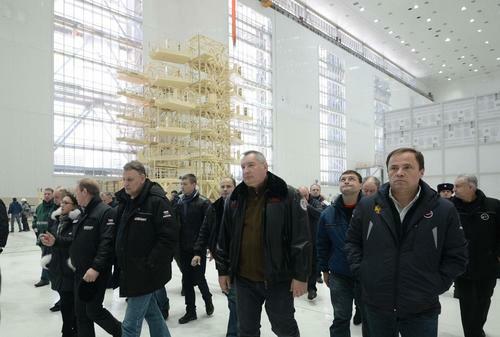 In general, the Vostochny cosmodrome construction scope is impressive, Putin said after inspecting the launch facility. Overall, builders have to build more than 400 facilities, including 120 structures of the technical and launch compounds, 11 aerodrome facilities with a take-off and landing strip 4,500 metres long and automobile and railway roads with a total length of over 170 km. The Lomonosov and Aist satellites will be the first to be launched from the Vostochny cosmodrome with the help of Soyuz-2 carrier rockets to transmit scientific experimental data to Earth. In 2016, Russia will start building launch and technical facilities for the new Angara carrier rocket as the second stage of the Vostochny cosmodrome construction. Plans are afoot to create a heavy-class space and rocket centre for the launches of unmanned space vehicles and as part of a manned flight programme. The cosmodrome is expected to be fully commissioned in 2020. 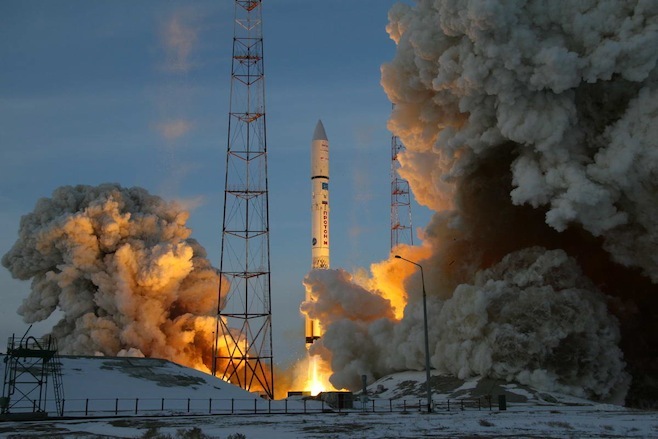 The Lomonosov and Aist satellites will be the first to be launched from the Vostochny cosmodrome with the help of Soyuz-2 carrier rockets to transmit scientific experimental data to Earth. Russia's space agency, Roscosmos, will allow private companies access to the market of space services by 2020, Russian Deputy Prime Minister Dmitry Rogozin said Tuesday. "By 2020, we plan to form an effective system of support for Russian corporations on the market of space services and allow private companies onto the market," Rogozin, who oversees the country's space industry, said during an innovation technology forum in Moscow. He added that "the effective development and commercialization of space production and services" should not be forgotten. According to him, in the near future, Russian President Vladimir Putin will get a report by Roscosmos on the draft Federal Space Program, in which all of the major priorities in this area will be described in detail. Unlike in the United States, where private companies such as Space Exploration Technologies Corporation (SpaceX), actively develop the market of space services, this sector in Russia is represented exclusively by state-owned enterprises and organizations. According to the Russian space agency Roscosmos, the Federal Space Program will have a budget of roughly $37 billion to last through 2025. The Russian Federal Space Agency (Roscosmos) signed contracts for 31 commercial space launches in 2015, the agency's head Igor Komarov said Tuesday. A number of these lauches will be carried out from the Vostochny Cosmodrome in the Russian Far East, he added. "We have signed a record number of contracts on commercial services. Contracts on 31 launches have been signed, and the Soyuz launches, a significant part, we plan to carry out in 2018-2019 from Vostochny," Komarov told Rossiya-24. The total cost of construction of the Vostochny space center in Russia's Far East is estimated at 180 billion rubles ($2.9 billion), the head of Roscosmos said. "According to experts, the construction of launch facilities at the future Vostochny space center is estimated at 120 billion rubles. However, it is obvious that a cosmodrome is not only launch pads, therefore, in our estimates the total cost could be as much as 180 billion rubles." After multiple rewrites over the past year in the wake of the collapse of the ruble, Russia's proposed decade-long vision for space exploration and utilization will be submitted to President Vladimir Putin for approval "in the near future," a senior Russian space official said Tuesday. The document, known as the Federal Space Program 2016-2025, is a policy document that outlines objectives, programs and planned funding levels for all Russian government-funded space activities over the next decade. "[Putin] has identified priorities [for the program] in several policy documents," said Deputy Prime Minister Dmitry Rogozin, Russia's space czar. "In the near future [he] will hear the report of [space agency] Roscosmos on the draft program in which all priorities are explained in detail." Rogozin said earlier this month that the program should be submitted sometime in November, and his latest comments do not make it clear if this target will be hit, TASS reported. The program was supposed to be submitted to the government for approval late last year, but the collapse of the ruble, ongoing launch failures and related mishaps, leadership shakeups at the federal space agency, and an industry-wide reform plan have all conspired to delay the final draft. A draft was expected this summer, but in March a senior Roscosmos official was quoted by the TASS news agency as saying that the proposal had already been significantly altered, and "looks completely different" than it did when originally completed in 2014. The biggest change to the draft was the level of funding dedicated to Russian space exploration over the 10-year period from 2016 to 2025, which was reduced by 10 percent between drafts to 3.4 trillion rubles ($52.5 billion). Rogozin's latest remarks about the status of the program shed little light on how much money Russia will invest in specific space-related projects, such as today's announcement by the head of Energia — Russia's largest space company — that Russia will land men on the moon by 2029, government daily Rossiiskaya Gazeta reported. Rogozin instead talked about broad objectives for Russia's space agency, which is being liquidated as a government organ later this year and reformed as a state-owned space corporation, with the majority of Russia's space industry consolidated under its control. Among the broad objectives mentioned by Rogozin on Tuesday were the completion and commercialization of Russia's Glonass satellite navigation system — a rough analogue to the U.S.-built Global Positioning System — as well as earth-observation satellites. Rogozin claimed that one of the most ambitious projects on the program will be the creation of a so-called space tug — a vehicle that parks in orbit waiting for cargo to rendezvous with and then transport to other orbits, or to the moon and beyond. The space industry, Rogozin said, is also working on building a new family of heavy and superheavy space rockets on the basis of existing designs like the Soyuz-2 and brand-new Angara family of rockets. 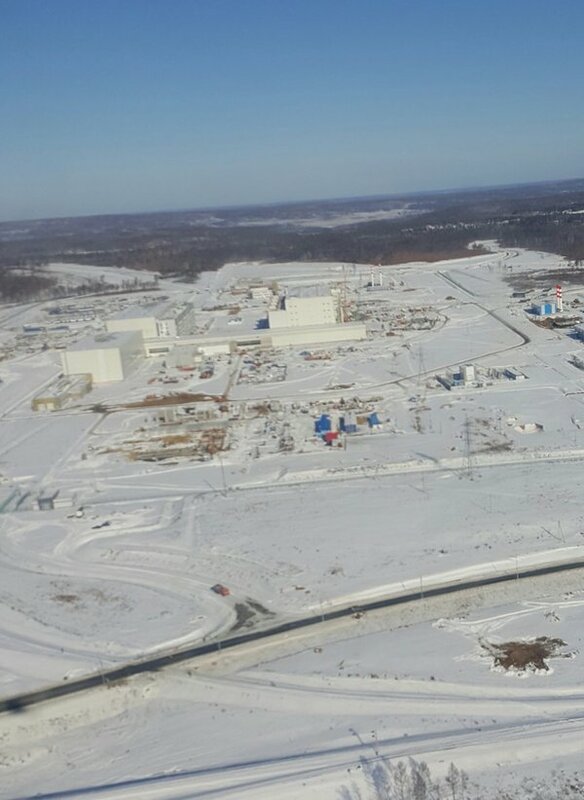 Vostochny is like fusion reactors - always just over the horizon. Which is why I follow LFTR's....still hoping for preliminary units by 2023...there are a lot of people and cash in this venture now, it will be done this time...really exciting, we won't have to panic for fusion units for awhile, these puppies will do the job just fine....and hopefully adoption for off-world use. Russia will launch full-scale testing in the coming two weeks at the Vostochny Cosmodrome that is currently being constructed in the country's Far East, head of Russia's Federal Space Agency Roscosmos Igor Komarov said on Monday. 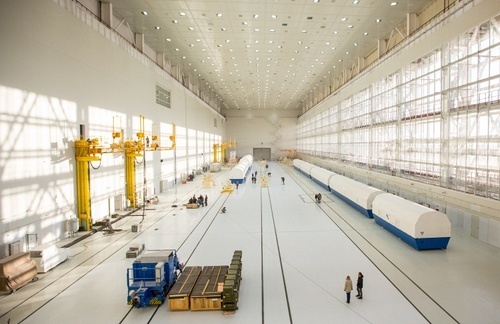 The Vostochny Space Center has been under construction in the Amur Region of Russia's Far East since 2012. 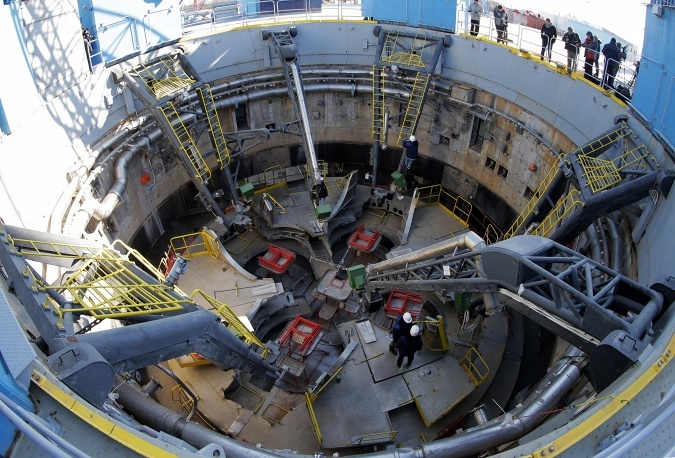 Once Vostochny is completed in 2018, it will enable Russia to launch most missions from its own soil, reducing the country's reliance on the Baikonur Cosmodrome in Kazakhstan. "Full-scale tests at the cosmodrome will start in two weeks...The timeframe for autonomous tests is 40 to 120 days," Komarov said during a teleconference between Moscow and the space station. Comprehensive tests will be carried out on the Soyuz-2.1a carrier rocket that was delivered to the space center in September. Russia hopes that the Vostochny space center will help the country reduce its dependence on the Baikonur Cosmodrome, leased from Kazakhstan for $115 million per year. 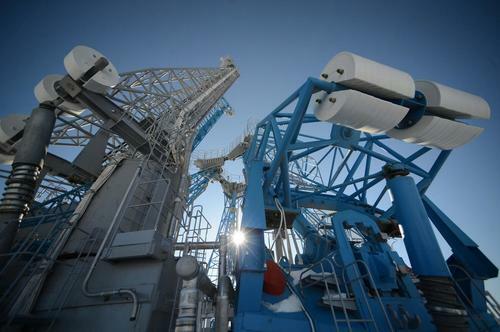 The first telephone station with media servers became operational at Russia's newly-built Vostochny Cosmodrome in Russia's Far East, the Spetsstroy federal agency for special construction's regional division announced. The agency said the station, with 72 digital and 800 analogue outputs, was commissioned last week after six months of intense work installing and testing a complex network of cables. It plans to install similar stations with radial networks connecting every Vostochny sector with the space port's main station. "The first full-time station began working at the spacecraft's assembly and testing facility," Dalspetsstroy said in a statement late Monday. On October 14, Russian President Vladimir Putin gave his permission to make the first launch from Vostochny in the spring of 2016. Russia hopes that the Vostochny space center will help the country reduce its dependence on the Baikonur Cosmodrome, leased from Kazakhstan for $115 million per year. The construction of the 270-square-mile space port near the Uglegorsk village in Amur Region began in mid-2012. Putin stressed the development and equipment of the International Space Stations with the newest technologies should be a priority for the Russian Federal Space Program. President Vladimir Putin on Thursday urged the development of Russia's satellite grouping and the strengthening of Russia's position on space launch market as immediate priorities for the country's space industry. 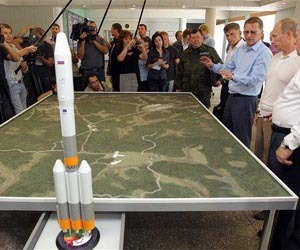 Putin also prioritized the strengthening of Russia's position on the markets of piloted and commercial space launches. "First of all, we must strengthen the Russian satellite grouping, focusing on accomplishing practical tasks in such important areas as satellite communications and remote earth sensing," Putin said at a meeting with space industry officials on prospects of Russia's space program until 2025. "Russian rockets must be reliable and competitive, meet requirements of leading domestic and foreign customers," the president stressed. Fundamental space exploration should also be prioritized, the president said. According to the Russian space agency Roscosmos, the Federal Space Program will have a budget of roughly $37 billion to last through 2025. 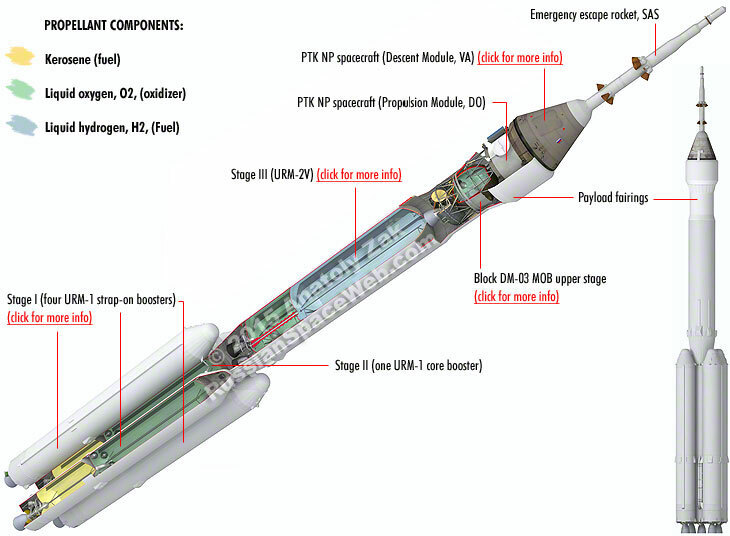 A dissected view of the Angara-5V rocket with the PTK NP spacecraft as of 2015. The MOB-KVTK concept emerged in 2015, when engineers at GKNPTs Khrunichev evaluated the possibility of using the newly proposed Angara-5V rocket for missions around the Moon and for lunar expeditions. The proposed scenarios required a space tug which would be capable of sending the PTK NP spacecraft and the lunar module from the Earth's orbit toward the Moon. Since the basic one-engine KVTK stage, which was under development for the Angara-5 series, would be too small for the task, a heavier and more powerful version was proposed to take maximum advantage of the capabilities of the Angara-5V variant. Key upgrades to the KVTK stage included enlarged propellant tanks and the installation of two RD-0146D engines instead of one. Similar upgrades were previously considered for various configurations of the even more powerful Angara-7 rocket, which was never funded. 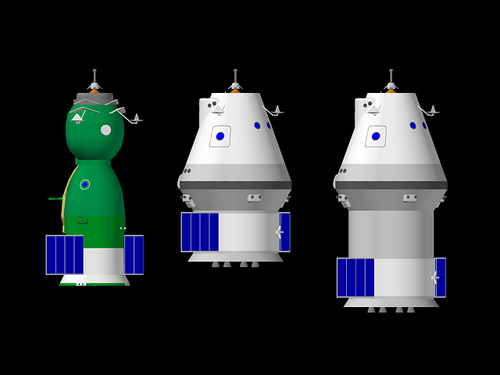 The beefed-up KVTK stage for the Angara-5V would also be equipped with rendezvous equipment, communications antennas and a passive docking port to receive the PTK spacecraft or the lunar module, depending on the task of a particular space tug. The docking port could be simplified, since it would not require a crew transfer or refueling. However, at the same time, the port would have to withstand dynamic loads onto the structure during all planned maneuvers. During a typical lunar mission, the MOB KVTK stage would fire its engines to reach an initial parking orbit and then restart them again after docking with either the PTK or with the lunar module. The space tug would release its payload in a highly elliptical orbit, leaving it to the ship's MOB-2 stages to complete the insertion into the lunar trajectory. The MOB KVTK stage could also be used for the delivery of heavy payloads, such as large communications satellites, into the geostationary transfer orbit and into the proper geostationary orbit. 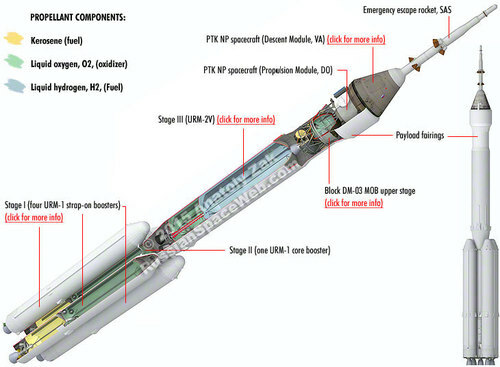 Ground support and launch infrastructure for the Angara-5V rocket featuring the MOB KVTK stage would be built at Pad No. 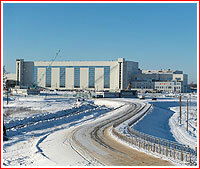 2 of the Angara launch facility in Vostochny, according to plans formulated during 2015. Unlike the Soyuz, where the docking port is discarded and burns up in the atmosphere along with the habitation module of the spacecraft at the end of each mission, the new-generation PTK spacecraft will carry its docking mechanism on the descent vehicle, VA, which was designed for at least 10 flights. As a result, the new version of the veteran drogue-and-cone mechanismwould have to be certified to endure the reentry into the Earth's atmosphere with a second cosmic velocity (11.2 kilometers per second) upon the return from lunar missions with the rest of PTK's descent vehicle. During its early missions in 2023 and 2024, the PTK spacecraft would use the docking port to link up with the Russian segmentof the International Space Station, ISS, or with the follow-on space station. That Angara line sure has a unique, characteristic look to it. They are classified as Light and Medium Payload LEO/GSO and CLO for the heaviest variant, are they not? The Angara 5 is slightly less than a Delta IV Heavy at 24.5t to LEO, and 7.5t to GTO. They really do need to finsh up a heavy methane launcher for crew BEO beyond flybys, flags and footprints. Doc and Draggendrop thanks for all the photos and info, very nice. I hope the Russians continue their efforts and I wish them great success, it's very exciting to see the progress. Since we've mentioned the Next-Gen Russian spacecraft which will fly from Vostochny we may as well post some info about it. It's known this far as PTK NP: Pilotiruemyi Transportny Korabl Novogo Pokoleniya or in English New Generation Piloted Transport Ship. It's also been called Rus, which is the name of the Norse tribe which gave Russia its name. It'll be launched on an Angara 5V variant which uses the Block-DM upper stage. Thanks, DocM and DD for all the superb information in this thread so far. Gosh ... Angara isn't really all that large, is it. Gotta hand it to the Russians, getting more from less. It's a nice, fairly efficient design. COSMODROME EAST, 2 November. / TASS /. Deputy Prime Minister Dmitry Rogozin instructed to make a list of imported equipment, which is the second stage in the construction of the cosmodrome "East" will be replaced by domestic. Such an order he gave in the course of the inspection of objects "starting minimum". "We need to make a list of all critical equipment, from transformers to mobile systems - the fact that a foreign proceeding has been designed and designers made the project documentation, - he said Deputy Prime Minister. - In the second stage the most of it to get rid of to avoid this in quotes "import substitution." According to Deputy Prime Minister, if Russia has its own equipment, it should be used in the construction of the second phase of the spaceport, even despite the fact that it may cost a bit more expensive. "It is expensive, because no one buys, and it is in small batches produced, - Rogozin said. - We will buy, will be cheaper. It is necessary to move to the Russian equipment that is in service will be cheaper by far. Just lose the purchase, but to win in the operation for decades. " 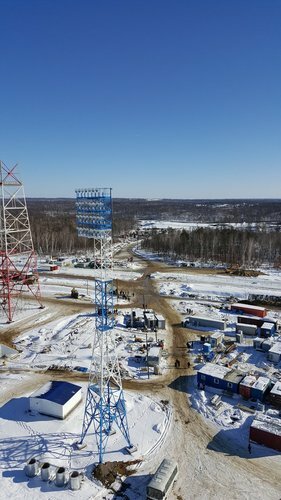 Cosmodrome "East" already begins the first test in two weeks. "East" is ready to take the rocket, said the deputy head of the Center for operation of ground-based space infrastructure Andrei Okhlopkov. Russia will withdraw from the Baikonur East into orbit all types of space vehicles, said Monday the deputy head of the Center for operation of ground-based space infrastructure Andrei Okhlopkov. "It will display all types of vehicles, which displays a rocket" Soyuz "," - he said during a teleconference between Moscow and Baikonur. Specialists of the Russian Space Agency tested in a test mode, the main objects of the cosmodrome "East": the mobile service tower, command and measurement complex, which will host the telemetry from the launch of carrier rockets and command center - the brain of the cosmodrome, where is the management of all the process of preparation for the launch and launch missiles Booster. At the same time the first settlers of the city Tsiolkovsky looked new apartments in just a residential home. Moscow extended a federal project on the development of Russian cosmodromes, which was set to expire in 2015, for one year, Kremlin spokesman Dmitry Peskov said Thursday. The main parameters of the Federal Space Program were determined during a meeting held by Russian President Vladimir Putin earlier in the day, Peskov said. "It was also decided to extend for a year the expiring in 2015 federal Russian cosmodromes program, in order to develop next year a new federal program designed until 2025," Peskov added. According to the spokesman, "issues related to the financial rehabilitation" of the Russian Space Agency were discussed during the meeting. Senior officials, such as Finance Minister Anton Siluanov, Acting Head of the Federal Space Agency Alexander Ivanov and Kremlin Chief of Staff Sergei Ivanov took part in the meeting. 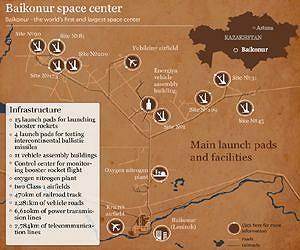 Baikonur is an international facility for operating Russian and multinational space programs. 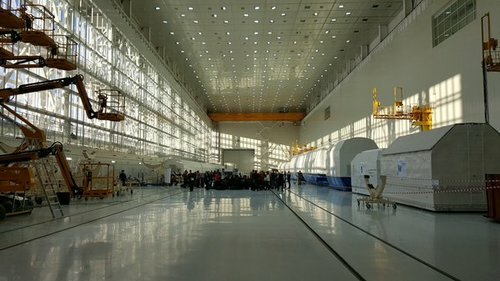 Russia holds a lease on the Baikonur Space Center until 2050, in accordance with an agreement between the Russian Federation and the Republic of Kazakhstan. "Over the past year, the Russian and the Kazakh side have done a lot of work. Five intergovernmental agreements were signed, including on the conditions of operating educational institutions on the territory of Baikonur, in accordance with which six schools teaching in Kazakh language were given to Kazakhstan," Rogozin said. In addition, Russia and Kazakhstan signed a protocol for procedures, organizations and other legal entities using facilities on the territory of the Baikonur center, as well as agreements to protect the environment, the official added. 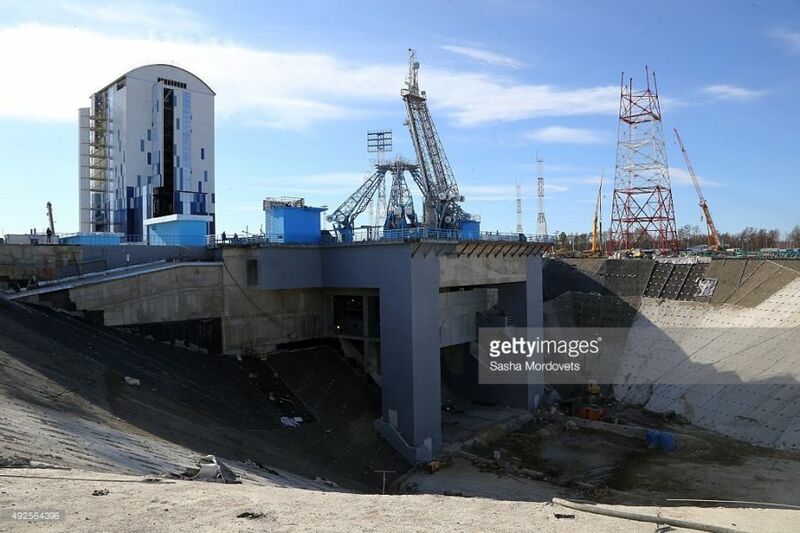 Moscow (Sputnik) Nov 30 - Russia and Kazakhstan will decide which type of rocket carrier to use for the Baiterek Space Complex under construction within the next two months, Russian Deputy Prime Minister Dmitry Rogozin said Friday. "We decided to create a joint research group that will work over the next two months and give proposals on the most optimal rocket carrier to use that we have today, which is the Proton, Soyuz, and the Angara, which is currently under tests," Rogozin said. Kazakh Deputy Prime Minister Bakytjan Sagintayev said the Baiterek Space Complex should be completed by 2021, but could be postponed due to the economic situation. "The construction work on the Baiterek Space Complex will be completed by 2021, but possible economic corrections are possible due to the unstable situation in the world," Sagintayev said. The Baiterek Space Complex is a joint project of Kazakhstan and Russia launched in 2004 to create a structure for eco-friendly carrier rocket launches at the Baikonur cosmodrome. 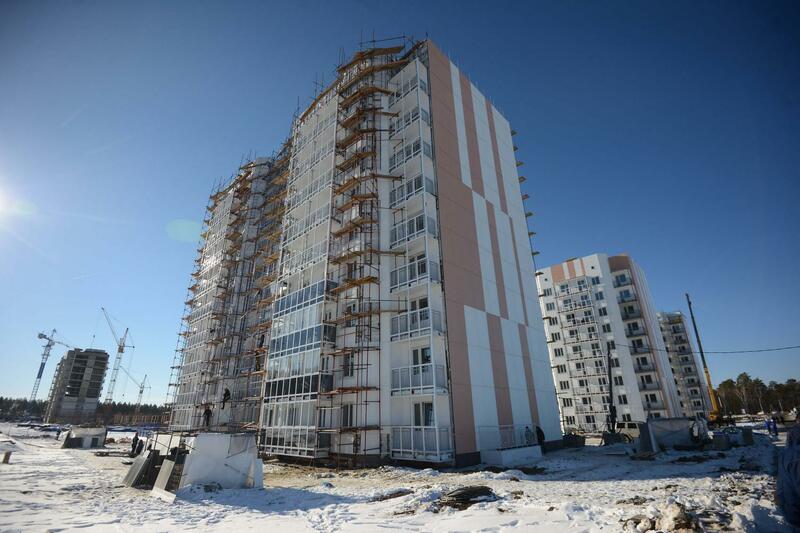 The Baiterek project is financed from the budget of Kazakhstan under an annually approved program. Experts TsENKI FSUE Design Bureau "Motor" mounted five jobs for working with spacecraft and boosters on the east. This workplace Block removal "Volga", JSC RCC Progress Fregat upper stage, spacecraft JSC Information Satellite systems and space payload. 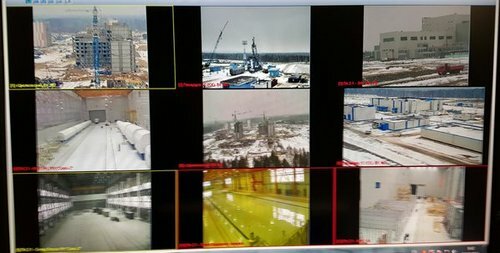 This is all the equipment, which is provided for the assembly and testing of the spacecraft hardware complex Vostochny cosmodrome.Workplaces are designed and manufactured TsENKI KB branch FSUE "Motor". Equipment for use with space vehicles is unified and is designed to work with all existing and future devices as the Russian-made and foreign partners. All jobs are accumulated in one operating room, it gives you the opportunity to eliminate the risks of transporting spacecraft and upper stages at the time of preparation. In addition, in the hall of the Spacecraft Assembly and finishing installed local area - a separate room with its temperature control systems, and air purification. It will ensure the purity of not less than class P8. What will give the opportunity to work with the most demanding devices for purity. It is developed, manufactured and installed as experts FSUE TsENKI CB "Motor". We are currently commissioning and preparing to enter the stand-alone test. First start with the East is the "Soyuz-2" with the block removal of the Volga, it will orbit spacecraft Lomonosov and AIST. They will be delivered to the Earth data for scientific experiments. These satellites are developed in collaboration with students. Lomonosov developed at MSU, AIST - the Samara State Aerospace University. Create Vostochny cosmodrome in the Amur region in accordance with Presidential Decree dated 06.11.2007 and the Order of the Government of the Russian Federation from 14.01.2009. FSUE "TsENKI" (Spaceports Russia) specializes in the operation of the Baikonur cosmodrome and the East, Plesetsk. The company provides training for the launch of spacecraft and launch vehicles, carrying out space launches scientific and economic importance. MOSCOW, December 4. /TASS/. Ten suggestions from around 6,000 have been shortlisted to name a new manned Russian spaceship to be launched in 2016, the Energia rocket and space corporation said on Friday. 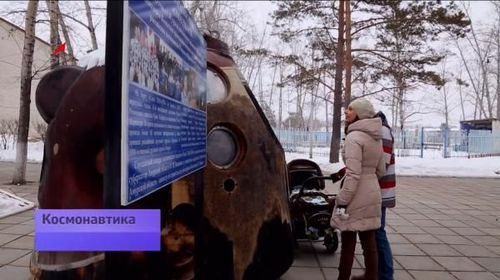 From 5,817 names, the organizing committee has selected the following: Federation, Gagarin (the first man in space), Rodina (Motherland), Zvezda (Star), Leader, Galaxy, Mir (Peace), Zodiac, Astra and Vector, said the corporation, the vehicle's designer. Voters can select their choice online at the corporation’s website and the Russian Space Agency’s page on the Vkontakte social network. 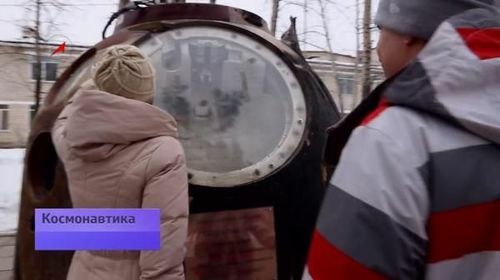 The person who entered the name most popular with voters will be identified this month and will be taken to Baikonur space center in Kazakhstan to watch the spring launch. The spaceship may be used later for flights to the Moon. MOSCOW, November 3. /TASS/. Russia’s United Instrument Manufacturing Corporation (an affiliate of the state-run Rostec corporation) in 2017 will be through with the development of a new system of preparing and launching intercontinental ballistic missiles being withdrawn from service, the corporation has said in a news release. "The Unified Instrument Manufacturing Corporation is developing a new system of preparing and launching intercontinental ballistic missiles for putting commercial payloads in space. 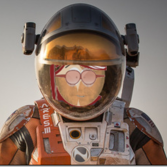 The new launch pad instruments have already undergone preliminary testing. This work is to be completed in 2017," the statement says. The work is being conducted by the research and industrial association Impuls under a contract with the international space company Kosmotras within the framework of the conversion program Dnepr. "The program has been effective for many years. The first generation of our system was used to launch heavy rockets RS-20 (Satan under NATO classification), which entered duty back in the 1970s. They have long gone obsolete and now have to be disposed of. 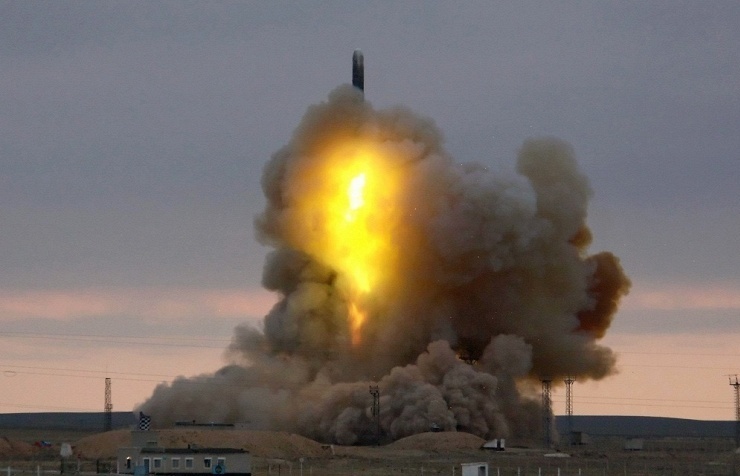 We are now working on a next generation system, which is unified and can be used to launch not only RS-20B, but also other missiles being withdrawn from service," the United Instrument Manufacturing Corporation CEO Sergey Skokov said. The preparation and launch system has been used on more than 20 occasions to put various payloads in space. 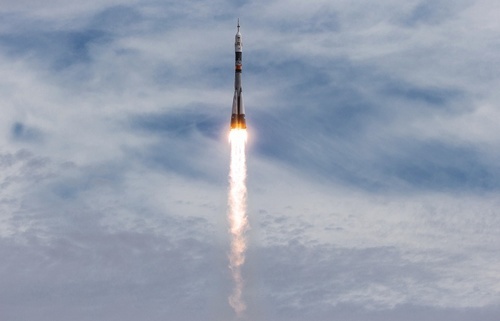 Russia's economic crisis and a broad readjustment of government spending across all sectors has forced Roscosmos to redraft its 10-year proposal several times over the past year. Russia's federal space agency Roscosmos will receive just 1.5 trillion rubles ($22.5 billion) in government funding over the next ten years, less than half of estimated figures cited by space officials earlier this year, a Roscosmos statement said on Monday evening. The space agency was planning on receiving around 3.4 trillion rubles as part of the Federal Space Program 2016-2025 (FSP), a decade-long planning document that lays out Russia's goals in space and allocates funding for them. 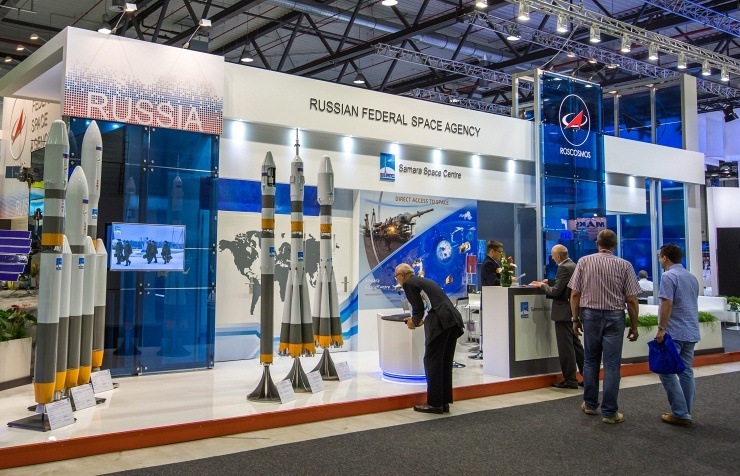 But Russia's economic crisis and a broad readjustment of government spending across all sectors has forced Roscosmos to redraft its 10-year proposal several times over the past year. Just three weeks after citing 3.4 trillion rubles in March, the figure was lowered by 41 percent to 2 trillion ($30 billion). Komarov said the document, which will be submitted to the government in the near future for approval, secures just 1.4 trillion rubles ($21 billion) at the start. The remaining 115 billion rubles will depend on the implementation of an unspecified project after 2021, depending on economic conditions. "Federation, Gagarin (the first man in space), Rodina (Motherland), Zvezda (Star), Leader, Galaxy, Mir (Peace), Zodiac, Astra and Vector"
Gagarin has to be the emotional favorite, but my favorites #2 and #3 would be Astra and Mir. Agreed @DocM. I like Astra after Gagarin as well. I'm partial to Rodina though ... got a nice feel to it. RSC Energia: Leader in New Spacecraft Name Competition is "GAGARIN"
The name GAGARIN for the new-generation Crew Transportation Spacecraft (CTS) is in the lead, according to preliminary results of public voting on the internet. The latest stage of the creative competition was launched on December 4, 2015, and drew a lot of attention of Russian internet users. Over a period of four days almost 18 thousand people have already cast their votes at the RSC Energia official web site (http://gagarin.energia.ru/konkurs-ptk-np.html) and on the official Roskosmos page in the social networking service VKontakte (www.vk.com/roscosmos). 4400 people proposed to name the new spacecraft after the first spaceman of the planet Yuri Gagarin. Behind “GAGARIN” come "VECTOR" (2531 votes), "FEDERATSIA" (Federation) (1967 votes), "ASTRA" (1665 votes), "GALACTICA" (Galaxy)(1489 votes), "RODINA" (Motherland)(1315 votes), "MIR" (Peace)(1261 votes), "ZODIAC" (1199 votes), "ZVEZDA" (Star)(911 votes) and “LEADER” (793 votes). This stage of an open public voting will last till December 23, 2015. The author of the best name will be awarded the top prize - a visit to Baikonur offering an opportunity to witness the launch of a manned transportation spacecraft Soyuz to the International Space Station in the spring of 2016. The creativity competition for the best name of the new-generation Crew Transportation Spacecraft (CTS) was organized by RSC Energia with participation of Roscosmos and URSC. The competition began on August 27, 2015. Altogether, about 6000 names were proposed, out of which the organizing committee selected ten for the public voting. The results of the competition will be announced on January 15, 2016. Additional information about the competition is posted on the official web site of RSC Energia (www.energia.ru). The spacecraft is reusable, its design incorporates advanced technologies, some of which are without equals in the world’s space industry. In particular, the CTS reentry vehicle will be made of composite materials, and have a reusable docking assembly. 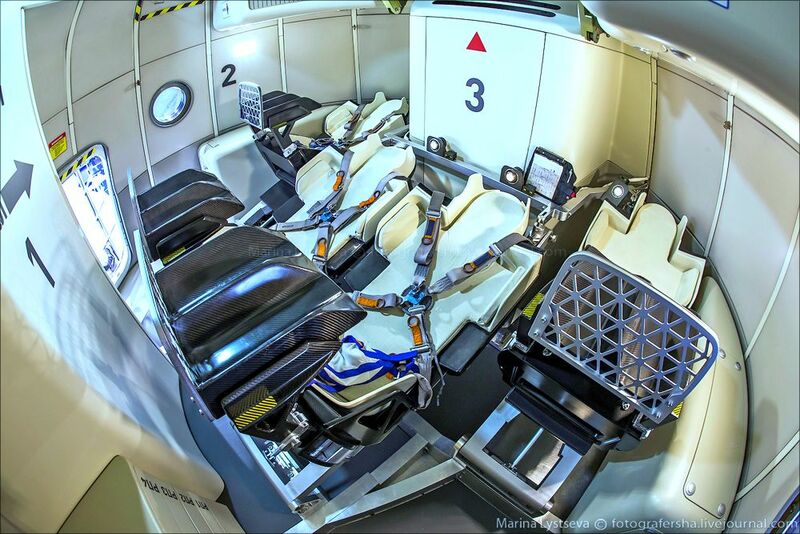 State-of-the-art avionics will allow meeting the challenges of the spacecraft rendezvous and docking in a more efficient manner, and improving the crew safety during launch and return to Earth. The CTS crew can be as large as 4. The spacecraft will be able to stay in free flight for a period of up to 30 days, and stay attached to a space station for a period of up to 1 year. The total mass of the spacecraft during its flight to the space station will be 14.4 metric tons (19 tons during a mission to the Moon), the mass of the reentry vehicle will be 9 metric tons. The length of the spacecraft is 6.1 meters. The nominal g-load during descent is 3g. The spacecraft orbital insertion is to be performed by the heavy launch vehicle Angara-A5V. Baikonur Cosmodrome will not close after Russia's launching of Vostochny Cosmodrome, President of Kazakhstan Nursultan Nazarbayev said in an interview with the state TV channel on Sunday evening. 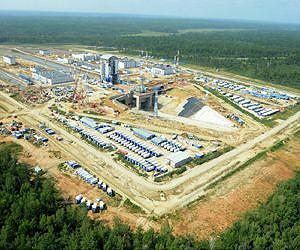 Vostochny Cosmodrome is under construction near the village of Uglegorsk in the Amur region of the Russian Federation. First launch from the Cosmodrome was expected in December 2015. But President of Russia Vladimir Putin officially postponed the date of the first space launch by four months - into early 2016. Vostochny, a $3 billion construction high-profile mega-project, has been delayed by faulty construction, repeated corruption scandals and worker strikes. 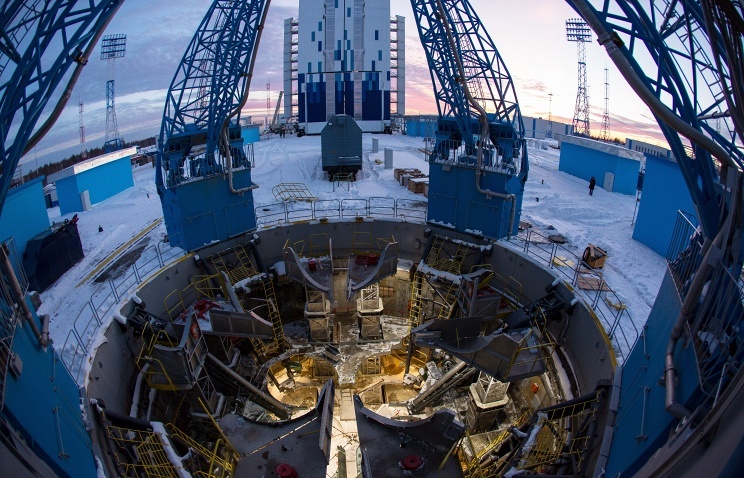 First launch from the Cosmodrome was expected in December 2015. 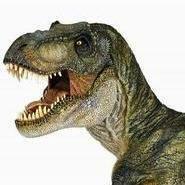 “We will continue to work together with Russia,” said Nazarbayev. Baikonur Cosmodrome is located in Kyzylorda region, the south of Kazakhstan. The cosmodrome is leased by Russia until 2050. 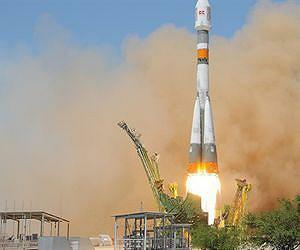 The deal effectively makes Baikonur city an island of the Russian Federation inside Kazakhstan. The city today uses Kazakh mobile phone networks, both countries’ currencies, and a parallel system of laws regulated by more than 50 bilateral treaties. The city mayor is appointed by Russian President Vladimir Putin, but subject to approval by Kazakhstan President Nursultan Nazarbayev. Russian President Vladimir Putin expressed hope Thursday that the completion and the first launch from the Vostochny space center in Russia's Far East would be carried out according to the schedule. "I hope everything will be done in time. There is a backlog which was large - up to a year and a half. Now it has been cut to four-five-six months. I hope that the first launches will be carried out by the schedule which we had set out, the first quarter of next year," Putin said at his annual press conference. 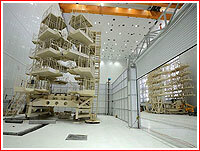 The Vostochny space center has been under construction in the Amur Region of Russia's Far East since mid-2012. 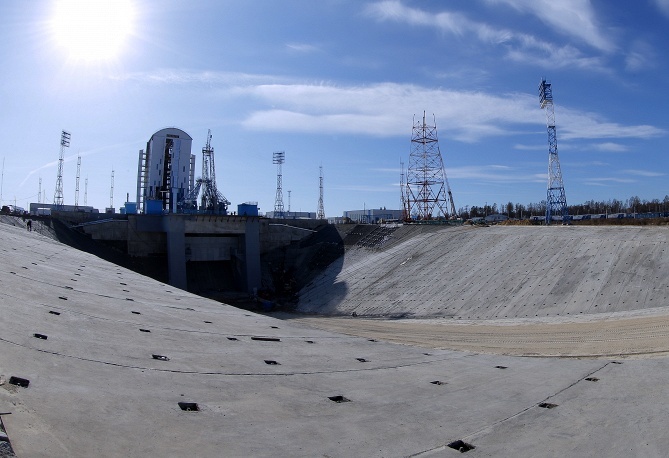 Once Vostochny is completed, it will enable Russia to launch most missions from its own soil, reducing the country's reliance on the Baikonur Cosmodrome in Kazakhstan. 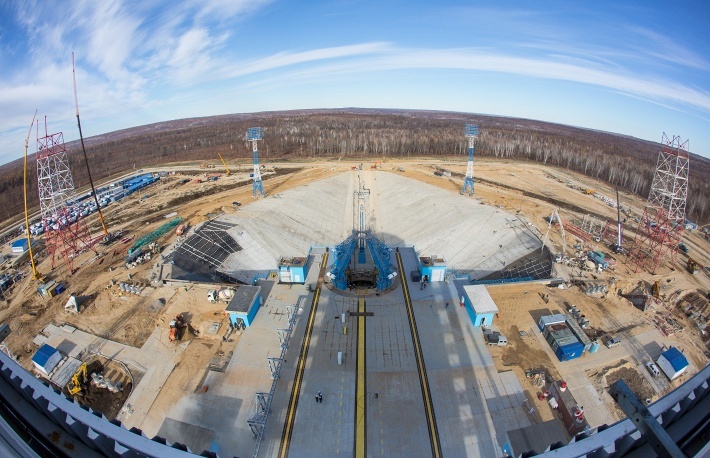 The total cost of construction of the Vostochny space center is estimated at 180 billion rubles ($2.9 billion), according to Russia's Federal Space Agency (Roscosmos). On October 14, Putin gave his permission to make the first launch from Vostochny in the spring of 2016. In early November, Roscosmos head Igor Komarov said the state space corporation had signed contracts for 31 commercial space launches, many of which will be carried out from the Vostochny Cosmodrome in 2018-2019. 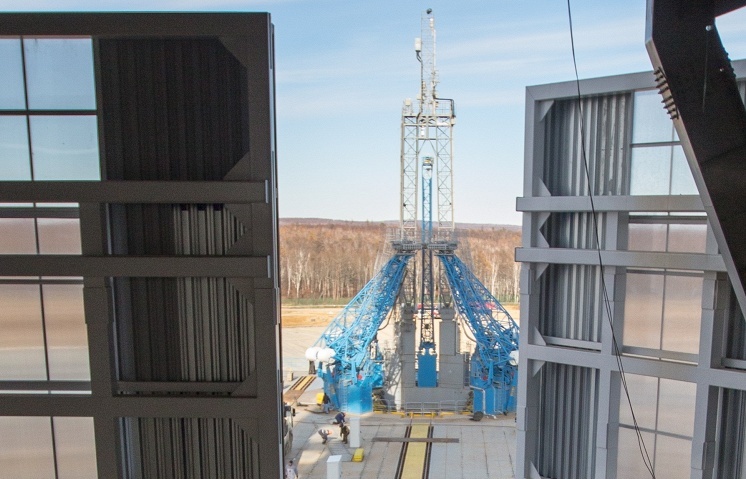 Russia will launch full-scale testing in the coming two weeks at the Vostochny Cosmodrome that is currently being constructed in the country's Far East, head of Russia's Federal Space Agency Roscosmos Igor Komarov said. 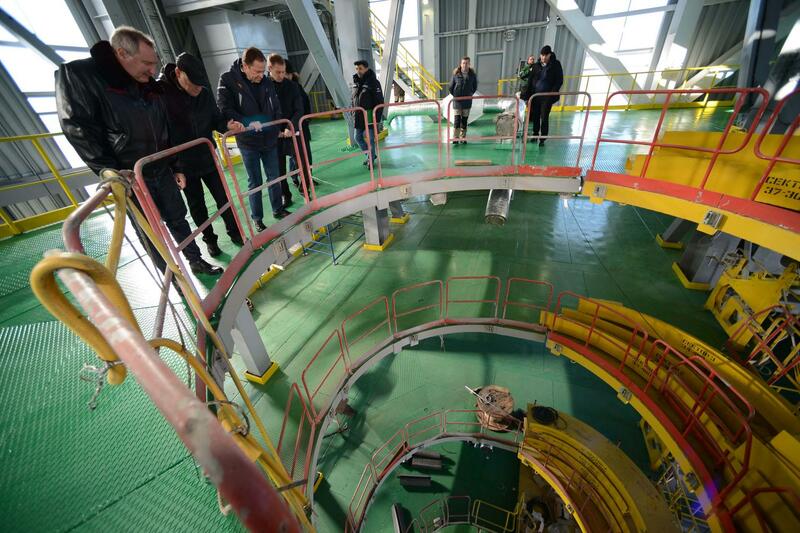 back view of launch center..
SAMARA, December 22. /TASS/. Russian students’ first space nanosatellite, designed and manufactured at the Samara State Aerospace University (SSAU), has been certified for the launch from the Vostochny space center, which is currently under construction in the Far East of the country, the university’s press service announced on Tuesday. 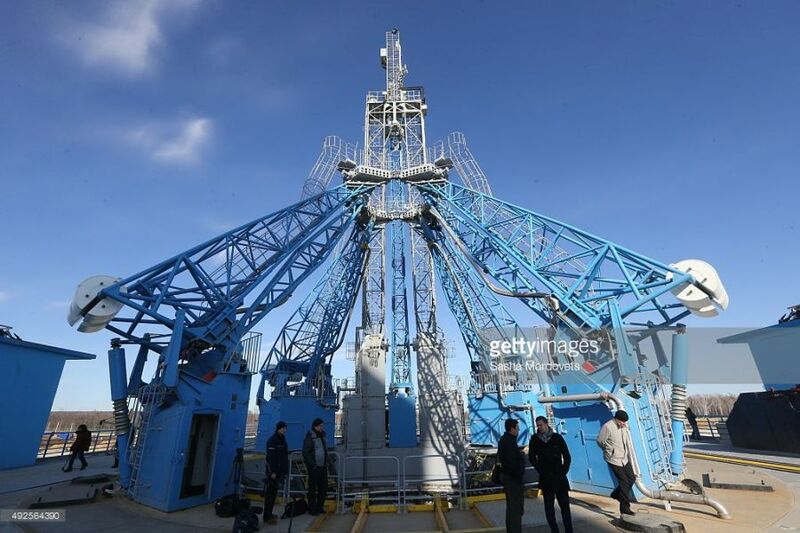 "The granted certificate proves that the SamSat-218 nanosatellite is ready to be shipped to the Vostochny space center and it fully complies with all safety requirements necessary for the launch and flight of a Soyuz-2.1a space carrier," the press service announced. "This [certificate] is of a particular importance for us since our young team fulfilled their task at such high level, which is required for manufacturers of space technologies," Igor Belokonov, a professor at the university’s department of space research, said. "I will not be wrong if I say that no other university in Russia has such document." According to the official website of the SSAU, the SamSat-218 nanosatellite was designed to solve "a number of technological and educational problems," and it was primarily "intended for testing algorithms for nanosatellites orientation controlling." KOROLYOV /Moscow Region/ December 21. /TASS/. Russia’s cargo spacecraft Progress MS has established radio contact with the communication and broadcasting satellite Luch-5B, a source in the space rocket industry has told TASS. "There has been the first successful session of communication with the Progress MS spacecraft via a Luch system satellite," the source said. A cluster of three relay satellites will make it possible to keep in touch with the spacecraft at any point of its orbit, and not just over the territory of Russia, where ground communication satellites are located. Last time relay satellites (Altair) were used to run a spacecraft during the first and last orbital spaceflight by the Soviet space shuttle Buran in 1988. Also, they maintained communication with the orbital station MIR. MOSCOW, December 22. /TASS/. The plan of creating the space rocket Fenix remains on the agenda of the Russian space agency Roscosmos plans and has been included in the draft of the federal space program for 2016-2025 despite certain cuts in budget financing, a source in the space rocket industry has said. "Research and development under the Fenix project has been preserved in the draft of the federal space program which is undergoing inter-departmental coordination. True, the possibility of removing Fenix from the program was discussed at a certain point, but for now this promising project remains relevant," the source said. 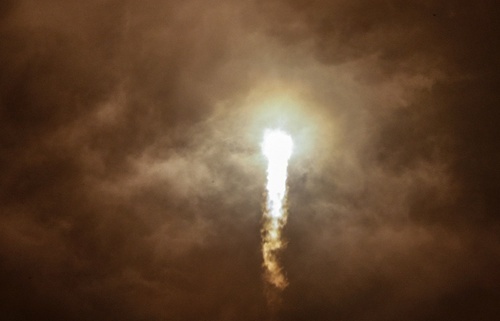 Fenix is part and parcel of a product research and development portfolio, its eventual aim being creation of a new space rocket for manned programs. 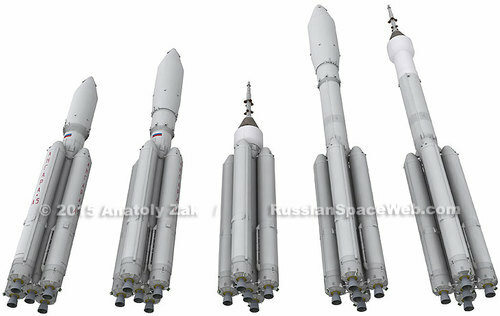 The Zenit-size rocket may be built according to a modular principle and consist of several modules. A super-heavy configuration is a possibility. The RD-171 engine from NPO Energomash, already used in the Zenit rocket, is regarded as a potential first stage. The previous federal space program draft extending till 2025 envisages feasibility studies for developing a medium class space rocket during 2016-2017. Research and development was due to begin as of 2018. Under the project Roscosmos in 2018 through 2025 was to spend more than 30 billion roubles ($430 million) for the purpose. According to earlier reports the budget financing of the federal space program would be slashed from 2.004 trillion to 1.4 trillion. MOSCOW, April 27. /TASS/. Russia’s space agency (Roscosmos) plans to begin in 2018 the development of a medium-class carrier rocket to replace the Soyuz rocket family the creation of which had started during the USSR times when Sergey Korolev was the country’s chief rocket engineer, a rocket and space industry source told TASS on Monday. "Roscosmos is to prepare the technical design specification for the medium-class carrier rocket during 2016-2017. In 2018, it is planned to begin the experimental development work on this rocket named Fenix," he said. According to the source, in the period from 2015 to 2018 Roscosmos plans to spend more than 30 billion rubles (almost $600 million) on the project. Another source in the industry told TASS that the initiative of the new rocket development belongs to the Samara-based Progress rocket space center. According to preliminary data, it will be a one-piece carrier rocket with the capacity of carrying at least 9 tons of payload to a low-Earth orbit, that is, it will take a niche between the existing Soyuz and Zenit rockets. The Samara enterprise proposes to use liquefied natural gas as fuel, but also considers the standard kerosene and hydrogen option. In the future, Fenix is planned to be used as a module for creating carrier rockets of larger capacity. The groundwork of the Frigate upper stage manufactured by the NPO Lavochkin Research and Production Association may be used for the new rocket’s booster. According to the source, the creation of a new medium capacity rocket was necessitated by the fact that in the future the national space program will use the Angara modular rocket. However, if a contingency occurs during the launch of a light-class version of Angara, the launches of the entire family of the carrier rockets will have to be suspended until the investigation is over, the source said. It is necessary to develop a new rocket as a reserve to ensure orbiting of small and medium payloads, he added. Roscosmos chief Igor Komarov said previously that a new draft of the Federal Space Programme for 2016-2025 included the works for the creation of a new-generation medium-class carrier rocket. The original plan was for Fenix to be a single core LNG launcher, but some of their people were also talking about liquid hydrogen. LNG would have no need to design $$ parts and coatings to prevent hydrogen embrittlement. The same reason Delta IV is too expensive. This will be a bit of a mess for a post. I have been saving a few articles to make a post, then a bunch of pictures became available today. There will be a complex inspection tomorrow, and hopefully, a few good images will be available shortly. 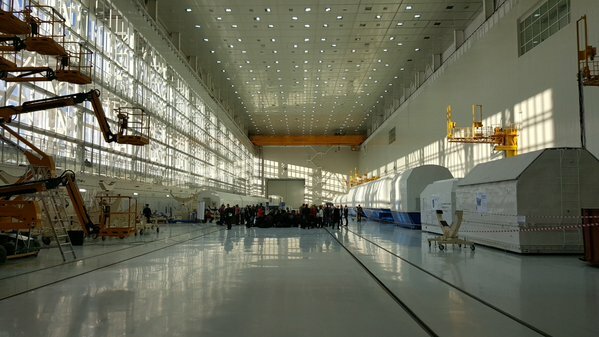 On May 25, 2015, the Angara pad in Vostochny was a subject of discussion in the Kremlin between Vladimir Putin and the head of Roskosmos Igor Komarov. On June 4, Deputy Prime Minister Dmitry Rogozin announced that the construction of the dual launch complex for the Angara rocket would begin in January 2016, immediately after the introduction of the Soyuz pad. 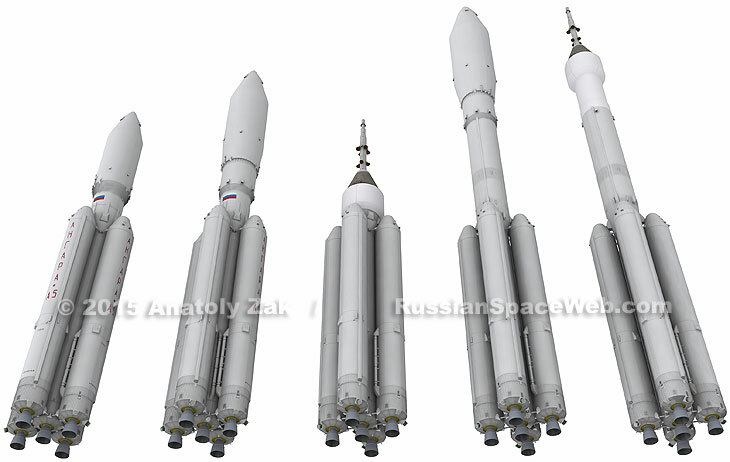 The Angara complex would be able to accomodate Angara-5, Angara-5V and a light-weight Angara, Rogozin said. Indeed, at the time, workers were already seen clearing trees at the future facility. At the time, the first unmanned launch of the Angara-5 rocket was officially scheduled at the end of 2021 and the first manned launch from the site slipped to 2023. 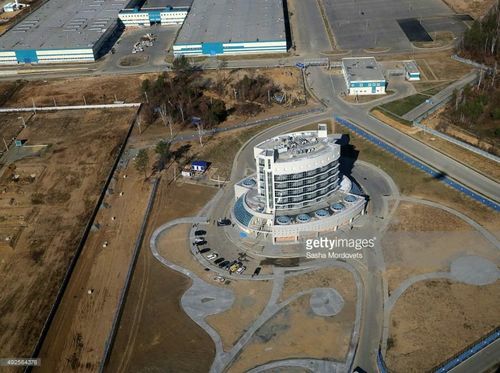 In addition to the a dual launch pad, the new vehicle assembly building for Angara rockets would be built at the Vostochny's main processing complex, along with a new preparation facility for the PTK NP spacecraft, officials said in November. 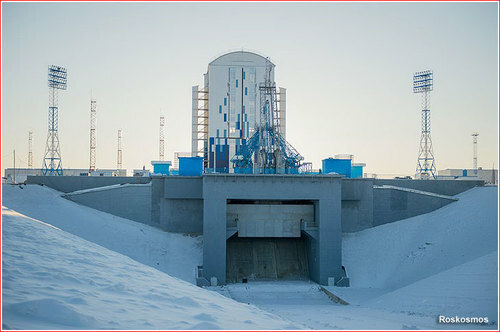 A cistern (fuel terminal) at the propellant terminal near the Soyuz launch pad in Vostochny in December 2015. 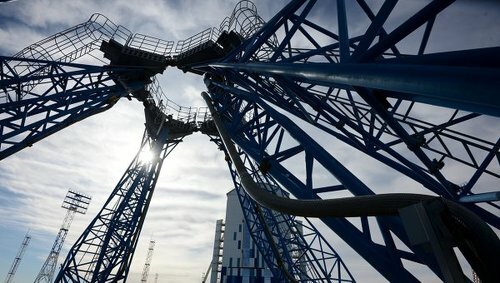 Date of first start with the under construction Vostochny cosmodrome will be determined only after the stand-alone and integrated tests. 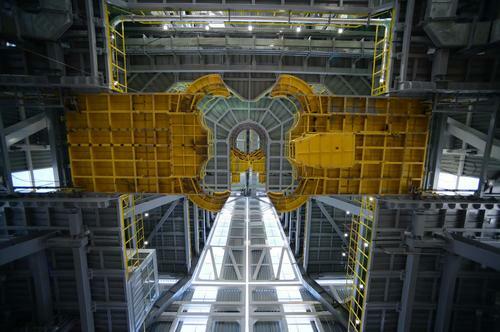 At present, self-contained testing continues at the launch complex and completed the processing facility EAST. The next phase of work with technological equipment - complex tests that are carried out directly from the carrier rocket "Soyuz-2.1a." Post them planned in January 2016. Test systems are carried out as construction readiness and delivery of construction projects. 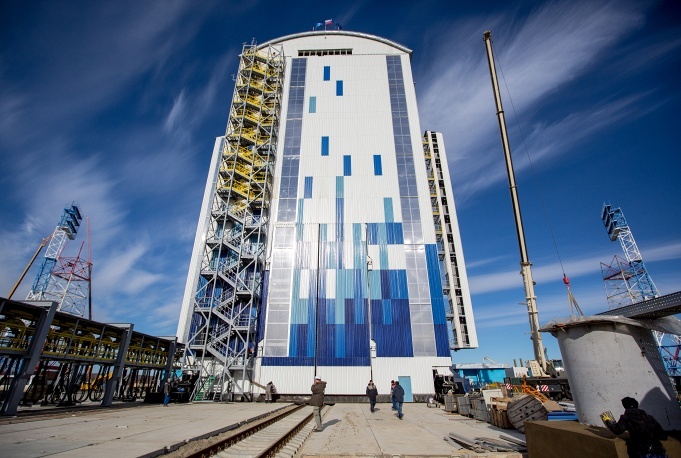 Khrunichev Center: YEAR FROM THE DATE OF THE FIRST START LV "Angara-A5"
December 23, 2014 with the purpose of the launch complex of the 1st State Test Cosmodrome Plesetsk Ministry of Defence has been carried out the first test launch of the newest carrier rocket heavy class "Angara-A5". 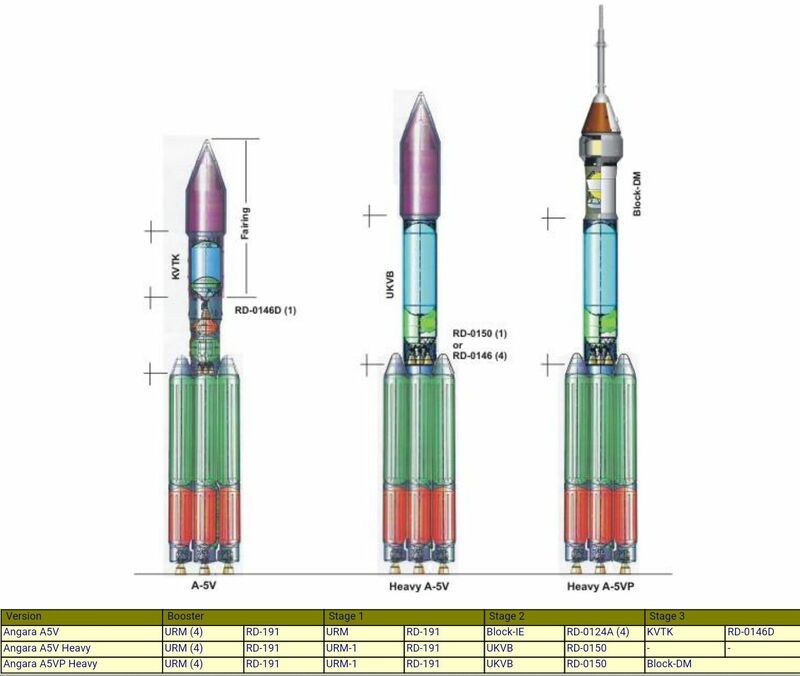 PH consisted of three stages set up on the basis of universal modules (URM-1 and URM-2), the head of the space as a part of the upper stage "Briz-M" and the layout of the payload mass of 2.04 tonnes. During the tests, the upper stage successfully brought mock spacecraft on target geostationary orbit. In 2015, work continued on the preparation of the planned at the end of 2016 to the second launch of LV "Angara-A5". 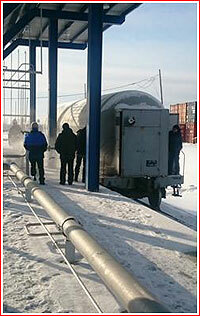 Production of PH "Angara" is carried out in Khrunichev. MV Khrunichev (Moscow) and "Polyot" (Omsk). 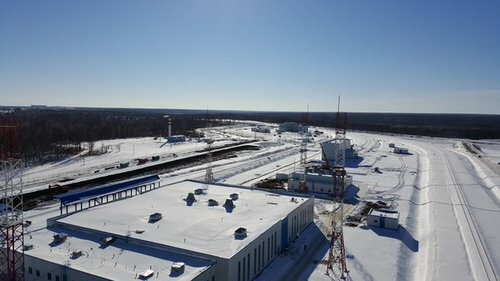 On the basis of a branch of Khrunichev Omsk - software "Flight" - is the construction of a new factory made, which will allow for the use of the new space industry solutions. For the first time will be organized mass production of rockets. The second trigger severe LV "Angara-A5" is scheduled at the end of 2016 from the Plesetsk Cosmodrome since the actual payload. CBC "Angara". 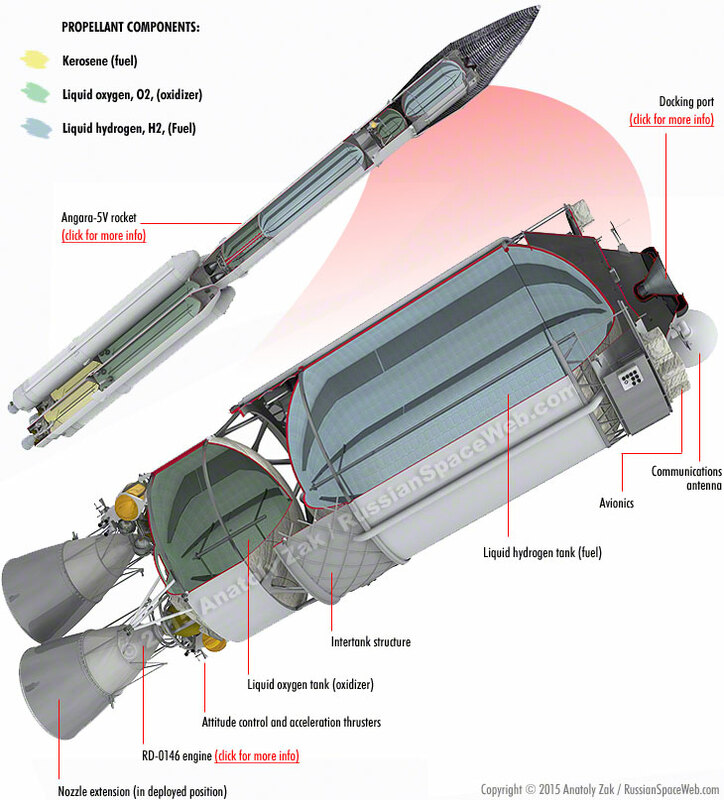 Creating a space rocket complex (CBC) "Angara" - one of the priorities of the national system of launch vehicles, based solely on the use of Russian scientific and industrial potential. Create a space rocket complex "Angara" - a special task of national importance: the AAC input "Angara" in the operation will enable Russia to launch space vehicles of all types from its territory and ensure the country's independence is guaranteed access to space. State customers in: Russian Ministry of Defense and the state corporation "Roscosmos", the leading enterprise-developer - FSUE "State Research and Production Space Center of MV Khrunichev. " 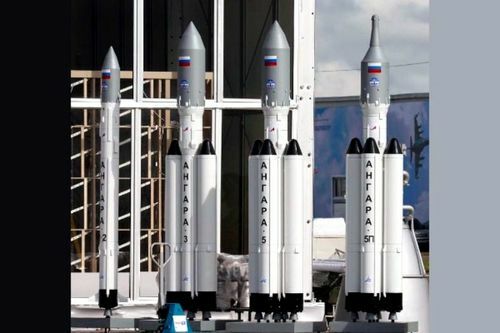 PH "Angara" created on the basis of the unified series of rockets light, medium and heavy classes and will be able to deduce a whole range of advanced payloads throughout the specified range of heights and inclination of the orbit, including the geostationary orbit. Different versions of RN implemented using universal modules: one module for light-class carrier, the carrier for the three middle class and five for heavy-class carrier. Universal rocket module passed as part of anticipatory testing of an experimental rocket light class "Angara-1.2pp", which was successfully launched in July 2014 marked the beginning of flight tests CBC "Angara" Plesetsk. Widespread use of unification and unique technical solutions enable a single launcher of launching all kinds of family PH "Angara". SAMARA, December 24. /TASS/. The first launch from the Vostochny spaceport in Russia’s Far East is scheduled for April 25, 2016, Director General of the Progress State Research and Production Space Center Andrei Kirilin has told reporters. "To date, the schedule of the first launch campaign envisages the launch from Vostochny at late April — on April 25," Kirilin said. According to him, the company’s specialists are completing component tests of the equipment at the cosmodrome’s technical and launch complexes. This works are due to be completed this year, and there are no preconditions for their disruption, he noted. On January 18, experts will begin work on the preparation of the carrier rocket and the Volga launch unit, and the spacecraft for the first launch will be delivered to the spaceport on January 20. Earlier reports said that during the first launch the Soyuz-2.1a carrier rocket would power into orbit the Lomonosov satellite, the Aist-2D satellite and the first students’ nanosatellite SamSat-218. 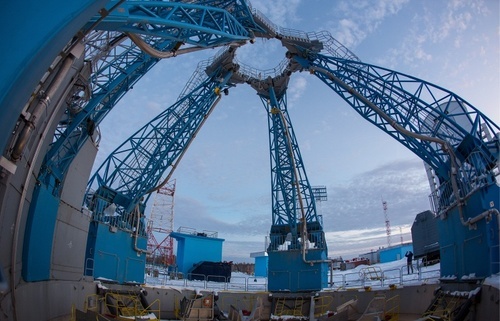 Earlier it was planned to carry out the first launch from Vostochny in late December. In mid-September Russian President Vladimir Putin proposed to postpone it for spring. According to him, April 12 marked in Russia as Cosmonautics Day could be the date of the first launch from the new cosmodrome. MOSCOW, December 25. /TASS/. The names Gagarin, that of the first man in space, Vector and Federation top the Internet shortlist of names for a new-generation manned transport spacecraft, the press service of Russia’s Energia Rocket and Space Corporation said on Friday. "As many as 35,105 people took part in the voting," the statement said. "More than 10,000 people suggested the new spaceship to be named after Earth’s first cosmonaut, Yuri Gagarin. Near 5,000 people voted for the Vector name, and above 3,500 for the Federation name." Public voting finished on December 23. The participants proposed more than 6,000 original names for the spaceship. Whoever has entered the eventual winning name will take the main prize, a trip to Baikonur space center in Kazakhstan to watch the launch of a Soyuz manned cargo spaceship to the International Space Station next spring. 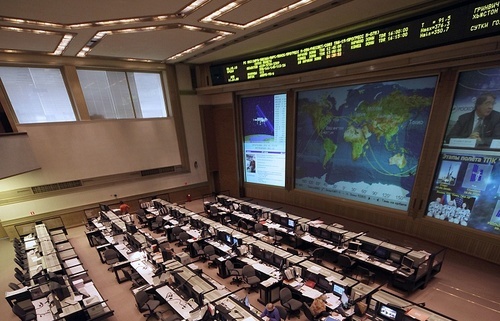 Russia’s space agency, Rosсosmos, will announce the winner on January 15. 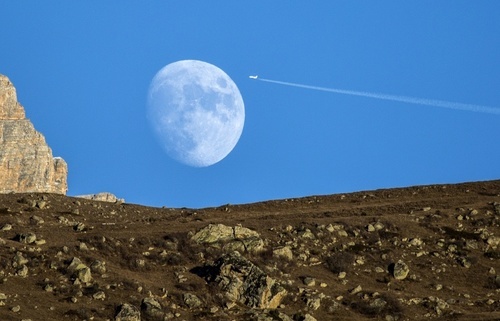 The new vehicle will service Russia’s lunar program. The ship, accommodating up to four crew, will be able to stay in independent flight for up to 30 days and up to a year when docked to the space station. The ship’s weight in orbiting flight will be 14.4 tonnes, and 19 tonnes in a lunar mission. This one is not related, but may imply that ULA has not only ordered more engines...it's on a new contract. JSC "NPO Energomash named after academician VP Glushko "and American company RD AMROSS signed an additional agreement to the contract for the supply of engines, in December of this year. Prior to 2019, inclusive of NGOs "Energomash" in the United States will put another 20 RD-180 for use in the first stage of the carrier rocket "Atlas 5". 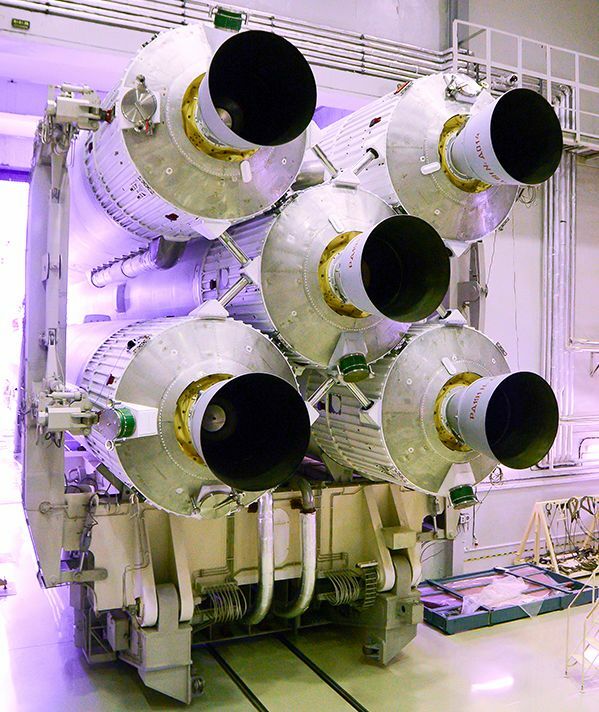 In 2015, the NGO "Energomash" has fully complied with its obligations under the contract, putting the United States in the planned number of RD-180 engines. Russian President Vladimir Putin on Monday signed a decree abolishing the Federal Space Agency, Roscosmos, within the framework of the countrys space sector reform, the Kremlin announced. The functions of the agency will be assumed by the state corporation with the same name, Roscosmos, set up by a law signed by Putin in July, Xinhua news agency reported. The Roscosmos State Corporation will also take over the functions of the United Rocket and Space Corporation and thus become the sole agency responsible for research, development and use of outer space. The newly-created corporation will manage space operations and implement the regulatory control accordingly. It will also be responsible for international activities in the field of space research and use. Russian authorities expect the new organisation to help consolidate relevant government and business structures, simplify operation and monitoring mechanisms, and solve existing problems in the industry. Oh my. That's an interesting development. I wonder what responsibilities the FSA Roscosmos specifically had. Roscosmos now becomes a state run corporation, removes all overlapping functions from other entities and becomes sole source, streamlining operations. In theory. Hope it works out, and it should save by removing duplication. Vladimir Putin has signed a decree on dissolving the country's Federal Space Agency in line with the creation of Roscosmos state corporation. MOSCOW (Sputnik) — Russian President Vladimir Putin has signed a decree on dissolving the country's Federal Space Agency in line with the creation of Roscosmos state corporation, the Kremlin press service said Monday. The agency will be dissolved in accordance with a federal law of July 13, 2015, according to the presidential decree, published on Kremlin's official website. The decree comes into force on January 1, 2016. 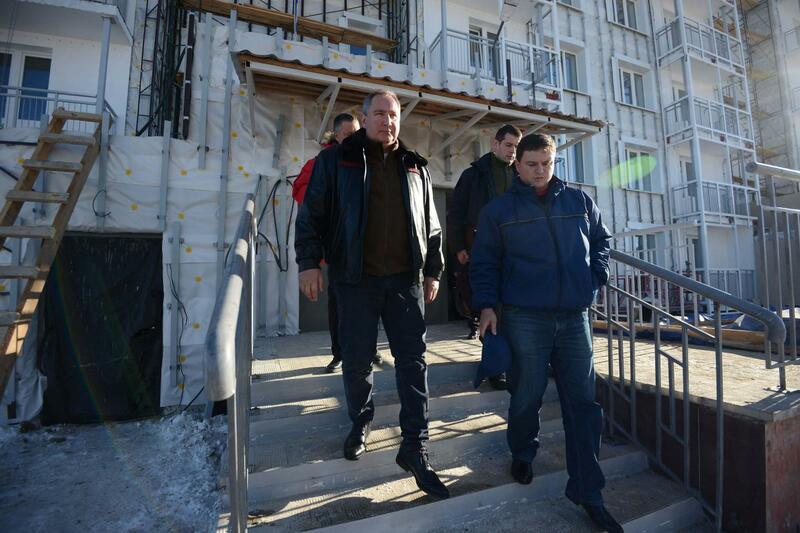 Under the decree, the Russian government is due to ensure the continuity of the agency's functioning. In accordance with the law, in the near future the government should carry out liquidation procedures, as well as provide the agency's employees with legal guarantees and compensation. The date of the first space launch from Russia's Far East Vostochny Cosmodrome will be set once all tests are completed, a source in the Russian space agency Roscosmos said Thursday. "The date of the first launch [from] the Vostochny Cosmodrome, [currently] under construction, will be determined only after independent and complex tests have been completed," the source told reporters. 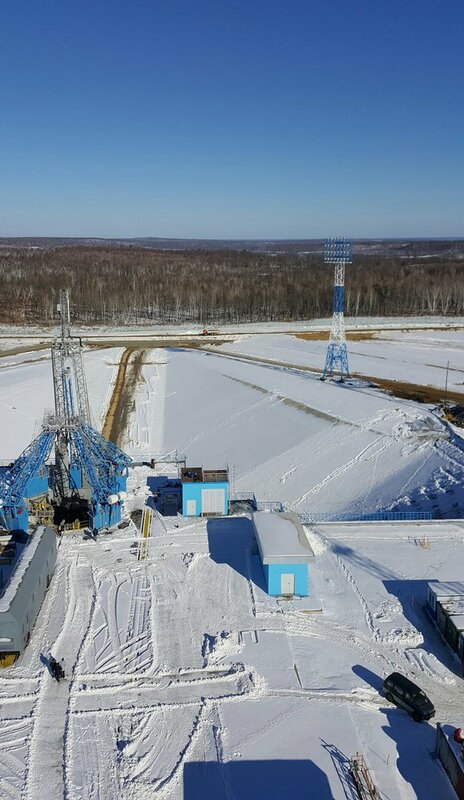 According to the source, autonomous tests are continuing at the Vostochny's launch pad and have been completed at the technical area of the Cosmodrome. Complex tests with the Soyuz spacecraft are scheduled to begin in January 2016. 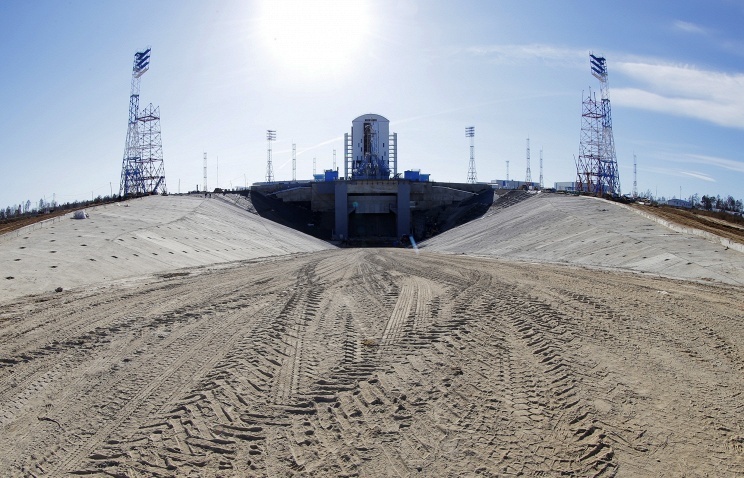 The Vostochny Cosmodrome, located in Russia's Far Eastern Amur Region, is expected to reduce Russia's dependency on the Baikonur space center in Kazakhstan. 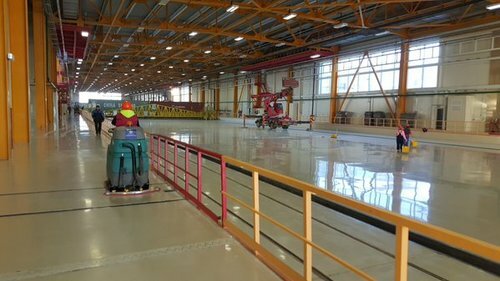 Baikonur is on lease to Russia until 2050.
http://sputniknews.com/russia/20151217/1031904228/vostochny-comsodrome-schedule.html Russian President Vladimir Putin expressed hope Thursday that the completion and the first launch from the Vostochny space center in Russia's Far East would be carried out according to the schedule.